The Chihuahua is a funny, small companion. They are well known for their size, being the world’s smallest dog. Their personality outsizes their body, making them a lively, social and friendly companion. The world’s smallest dog holds the ranking as the 11th most popular breed in the US. Chihuahuas aren’t known for being very social right off the bat. However, once you get one to like you, they show their attractive qualities. If they trust you, they will become very close companions. They love to show their affection and take advantage of their small size to do so, by making great lap dogs. While they can be great lap dogs, it’s best to not spoil these dogs. They can get pretty demanding of attention if they are adored in excess. They are known to be reliant on human company and are prone to separation anxiety because of this. Owners should hire a dog sitter or a send their dogs to daycare if they are not home all day. It’s not just people they have trouble getting close to, they are also known to be cautious of other canines. They also don't tend to be very social with other pets in general. The best way to get dogs of this breed to coexist with other animals is through early exposure to them. Owners often take their dogs to dog schools to train them and expose them to other dogs. Chihuahuas aren't great for people of all ages. They’re especially not recommended for families with young children, as they may injure the dog, and this breed is likely to snap back at them. It's important to make sure that children know what's not okay to do with the dog, if you are planning on owning one. As long as they are respected, they will make a great pet. 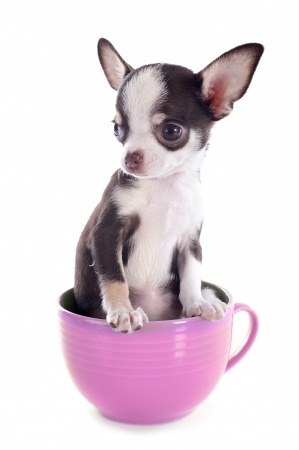 Chihuahuas are known to be pretty vocal, although, this is more a result of their antisocial personalities. They like to let their owners know about whatever they find interesting or alarming. The breed tends to bark at passersby as well as new animals. These dogs aren't suitable for areas of high population density, as many strange faces will make them anxious. 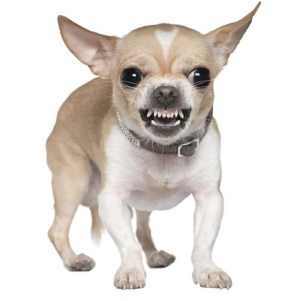 The Chihuahua is also popular for being a fierce defender of its owner. This is ideal for its use as a watchdog, but not so much for being a domestic pet. The breed can become a bit too defensive of its owner around harmless guests or strangers. This can be accentuated if the dog is pampered and spoiled. It’s best to keep a Chihuahua on a leash while walking and to make sure it knows who is actually a threat. These dogs are also famous for their courage. They’re pretty feisty for such small dogs. This being said, their courage can get them into fights they can't win. It’s best to make sure that a Chihuahua is attentive and obedient, or else they may not back down against other dogs or people. The Chihuahua’s fiery personality makes it willing and able to give chase to prey. The breed is known to chase off intruding animals and will sometimes pursue them further if they can. These dogs are fairly energetic as well so they will go after it with all they got. It’s best to have an outside enclosure for one of these dogs so they can't try and hunt down the odd squirrel or rabbit. The Chihuahua’s most widely accepted roots lie in Central and Southern America. There are many cases of ancient artwork that seems to depict a dog that closely resembles the dog. It’s most likely that the breed is a descendant of the Techichi, a dog that lived with the Mayans, Toltecs, and later Aztecs in ancient Mexico. The dog played many roles in these early societies: a guide in the afterlife, sporadic food source, and a sacrifice in burial rituals. 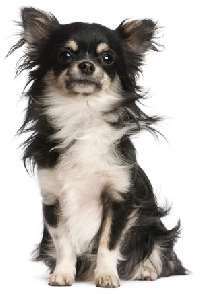 Although, the Techichi does not exactly resemble the modern day Chihuahua. It’s likely that the dog we see today is a result of years of selective and/or cross breeding. Some people think that the Techichi was bred with other smaller dogs indigenous to Mexico and South America. This is the most reasonable explanation of the breed’s less capable physical build compared to the stronger Techichi. Some people argue that the breed is not a result of native crossbreeding at all, but instead a result of European expansion. 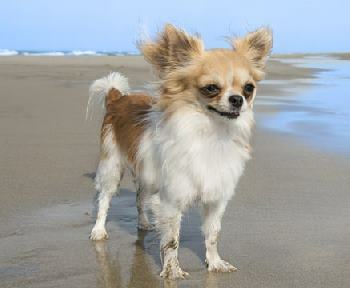 There are some European and Chinese breeds that bear similarities to the modern Chihuahua. It’s possible that one of these breeds made it over to the newly discovered Americas with European colonizers, which led to the dog we see today. The more recent history of the breed is less shrouded in mystery and conjecture. These dogs eventually ended up residing in the northern Mexican state of Chihuahua. You can probably guess how the breed was named. 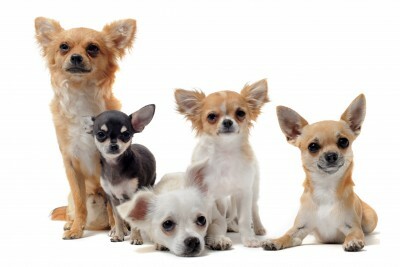 These dogs were popular amongst the people of Chihuahua for their capabilities as a watchdog as well as a pet. With the expansion of US territory, Americans began to be more familiar with Mexican culture. Given that the state of Chihuahua is so close to the US, it didn’t take long for people to learn about the tiny breed. The breed wouldn’t become widespread for a long time, though, as historically, people owned dogs for their working abilities. Dogs were needed for their hunting, guarding, and hauling abilities or their skills at removing vermin from farms and towns. The breed stayed out of favor in the US for a while. It saw a slight population increase in the years leading up to and during the World Wars. Although, along with most breeds, the Chihuahua was not owned by many during the Great Depression. It was simply impractical to own a dog or any domestic pets during these years. The breed finally saw a massive population boom in the 1960s. Following WW2, the US saw a significant boost in economic prosperity, and with it an increase in popularity for lesser known breeds. People could finally afford more luxuries and a higher quality of living. With the growth of the middle class came the practice of owning dogs solely as pets. This led to these dogs becoming one of the most popular breeds in the US. The breed was registered by the American Kennel Club as early as 1904. It is now the 11th most popular dog in the US. The AKC recognizes 9 colors and 6 types of markings for this breed. Their coloring includes many variations of solid colors. Chihuahuas are notoriously difficult to train. They require a consistent and authoritative owner to be taught correctly. Owners often take their dogs to obedience classes to hurry up the housebreaking and potty training process. It’s important to iron out bad habits early, as the breed is known to be pretty stubborn as well. These dogs are known to be somewhat introverted too, which can make the dog anxious. However, these dogs fair better if they are exposed early to many different sights, people, and animals. A good way to expose a dog to other dogs is by taking them to obedience classes. Frequent walks will also expose the dog to different sights and people, making them more relaxed with their environment. Owners find most difficulty getting their dogs to behave well around guests. They are defensive of their owners and are especially protective against strangers. The only way to get these dogs to coexist with guests is by familiarizing them very well. Otherwise, they aren't recommended for houses with a lot of people going in and out. As you can imagine, this breed won't be doing too much protecting given its size. They will attempt to defend their owner regardless, however, and their loyalty is admirable. Despite often putting forward a valiant effort, the breed is not recommended for protection. They are better used as watchdogs instead. The Chihuahua is known for being all bark and no bite. Their vocal personalities pose useful vocational purposes as well. The breed has been well known for its capabilities as a watchdog all throughout history, and it continues to be one today. This is an ideal dog for alerting its owner to an intruder’s presence. The dog is known for having difficulties distinguishing a threat from a guest. Their protective personalities make them wary of any stranger, so they'll often treat guests cautiously. However, if one can be trained to act as a sentry, they will be able to keep watch with keen alertness. Otherwise, they will alert you to any and all things that seem unusual to them. Would-be owners will be happy to know that this breed is not difficult to groom. Once you’ve gained the dog’s trust, grooming is a breeze. The both the long-coated and smooth-coated types of the breed don't shed too often, and typically need to be brushed only once a week. They aren't very dirty or smelly dogs. 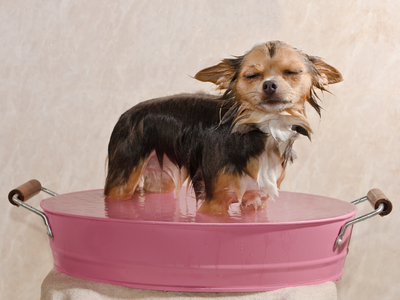 The breed is known for being clean. Of course, all dogs need to be bathed, and it’s an important part of grooming. It’s recommended that these dogs are bathed at least once a month. The Chihuahua likes to run its mouth, although it only requires typical dental care. It’s important to provide ample care for a dog’s teeth. Regular brushing is required to prevent plaque and tartar buildup as well as bad breath. It’s recommended that these dogs have their teeth brushed at least 2-3 times a week. It's important to train a puppy to tolerate grooming. Start at a young age even though a puppy may not need much grooming. It’s important to maintain a dog’s ears as well. Their large ears can easily dry out as well as catch bacteria inside them. Regular ear cleaning will remove excess ear wax and bacteria. It’s recommended that these dogs have their ears cleaned once a week. Nails also require regular maintenance. It’s important to clip a dog’s nails before they get too long. Long nails can be uncomfortable and even painful for a dog. While some dogs naturally file their nails, this breed does not. A good way to tell when a dog’s nails are too long is if they can be heard clicking against the ground as the dog moves. All dogs are bound to face some sort of health complication during their life. Some breeds are more prone to certain health issues than others, however, and it is important to take them into consideration before buying a dog. As with all popular breeds, this breed will sometimes fall victim to poor breeding practices. Pet store puppies are at a greater risk because almost 100% of pet store puppies come from large USDA licensed kennels. Some of these are puppy mills where profit is always more important than the well-being of the dogs. Careless breeders will breed dogs improperly and leave them with genetic health issues. A good breeder will know a lot about the breed as well as be able to pass health checks for their dogs. A great film! Click on the image for more details. We highly recommend the books below if you are thinking of having a chihuahua as your best buddy - click on the images to find out more.